"Stayed for a couple nights, good wifi, quiet location at nig..."
Have a question for Bee Bee Lodge? "Affordable for a big group." 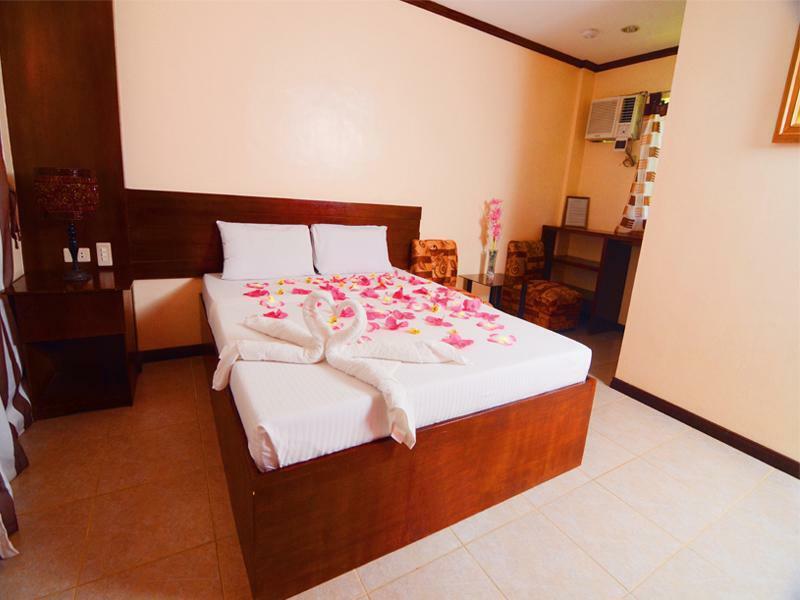 Nestled in the heart of City Proper, Bee Bee Lodge is an ideal spot from which to discover Kalibo. From here, guests can enjoy easy access to all that the lively city has to offer. For those of you who want to venture out, Museo it Akean, Aklan Museum, Kalibo Cathedral are just some of the attractions available to visitors. 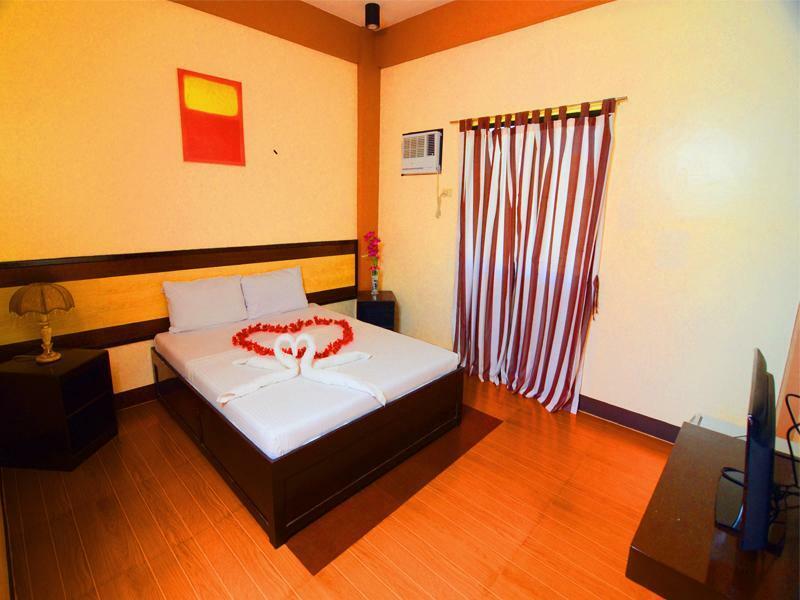 Bee Bee Lodge also offers many facilities to enrich your stay in Kalibo. To name a few of the hotel's facilities, there are 24-hour room service, free Wi-Fi in all rooms, Wi-Fi in public areas, car park, room service. Experience high quality room facilities during your stay here. Some rooms include clothes rack, sofa, internet access – wireless (complimentary), air conditioning, heating, provided to help guests recharge after a long day. The hotel's massage are ideal places to relax and unwind after a busy day. 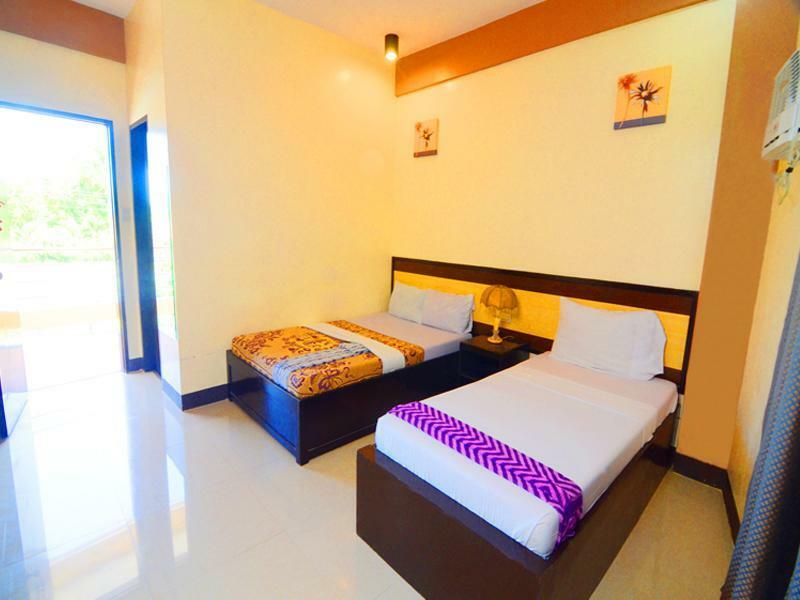 Whatever your reason for visiting Kalibo, the Bee Bee Lodge is the perfect venue for an exhilarating and exciting break away. "Still ok to stay in here, nice location." our flight came in very late, we had asked for a airport pickup. unfortunately there was no pickup, we had to pay around 150 php to get to the place. other then that it was all great. it was located in the center of the city. hotel condition was great, clean and comfortable. and of course it was very cheap. Check in was hassle free (considering that we got there really late at night). The rooms are clean and well kept. The staff are extremely helpful, accomodating and polite. The location is quiet and transportation is easily accessible. The breakfast was passable but for the price, you really can't complain. Highly recommended! We only stayed for few hours night time, next morning went to Boracay bus, so nothing really special. Quite nice hotel surrounding by garden and big parking place. nothing special, but we had stayed for 1 night smoothly. Overall our overnight stay in this hotel was okay except for the mixup with the counter over our transfer fees which we were able to resolve and get additional discount for. The rooms were okay and can accommodate up to four people so it is ideal for families travelling with kids on a budget. They can provide airport transfers but they charge for the service - although cheaper than the standard public trasnpo. the owners are very warm and friendly. There is also a 24/h McDonalds about 500 meters away which is a big plus, especially when youre flight is delayed. Couldn't sleep much due to extremely noisy aircon. So noisy it literary vibrated our bed even the furthest one away so decided to leave off untill temperature became unbearable. From very early in the morning there is a contruction going on so couldn't escape the noise. No towels in room but provided if you ask so request when checking in. Terrible hotel. Picture is very misleading! Didn't feel clean or safe. No toilet seat - similar to Europe! We are budget travelers rarely unhappy but really unhappy with this choice. Thank God it was a quick, overnight stay! We checked-in late (because of delays in our flight) but it was a breeze. There was a staff available 24/7. Room was exceptionally spacious for its price, clean and cofy. There was wifi and hot water too. We had breakfast there and food was reasonably priced. Only downside is it is a bit far from the airport compared to the other lodges, but that wouldn't stop us from booking again. Overall it was a good stay. 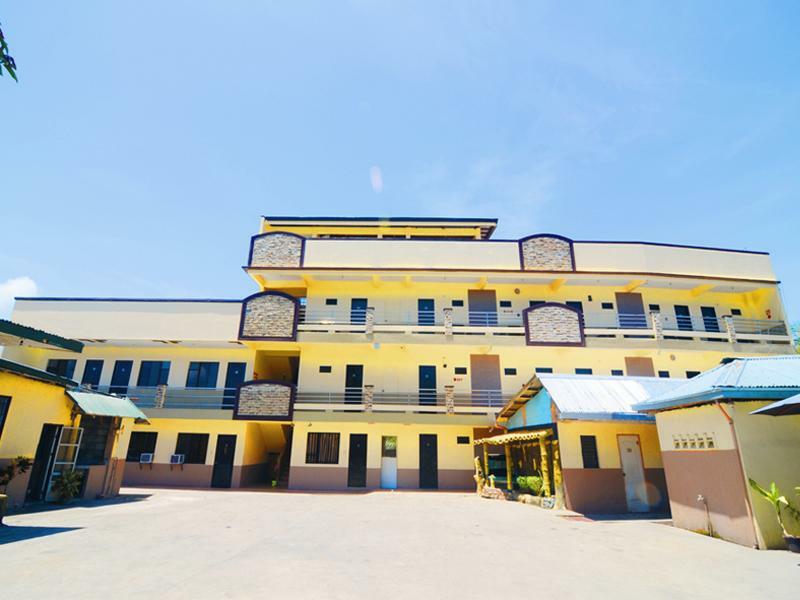 The museum in Kalibo is about 10 minutes from the hotel, but besides it, surround this hotel - there is nothing to do and play. The room is quite big and clean, the staffs are so nice but the location is the minus point. However, you can use tricycle to visit to other places with reasonable price. Reception staff (Dina) is not accomodating & don't know how to respond to my inquiries & request thru SMS before & during our stay at the lodge. Also, we made up 3 follow ups before our requested extra bed is given. It was all fine, except for the noisy AC, the room was very clean,staff was very friendly, its a budget hotel but the room was very new looking and well maintained. I just want to suggest something, they ahud at least include a trash bin inside the room.. The rates were a bit higher than other places. The air conditioned room on the 1st floor (2nd floor) did not have hot water bath. The air conditioner was a noisy and the TV was very grainy and had only a few channels. Even though this hotel is cheap, I can say that this is not a hotel. its worst than a motel. There are cockroaches in the rooms, no internet service, staffs are sleeping in the reception area, and its far from the kalibo airport. I will not come back in this hotel anymore. Totally disaster! Stayed only one night to wait for a flight. Beware of the staff trying to organize transport with tricycle to airport for double the price for what it should be. Breakfast in restaurant also very poor. Would not stay here again. It was a good, clean small hotel to stay if your looking for a place to rest. There was 3 of us, me and my mom shared the double bed and my cousin on the single bed, we had a good sleep. Well overall its really worth the money and maybe more than what you're expecting from the money you paid for. :-) The only thing, they dont have hot water, we need to shower coz our flights early morning, but you can ask them for hot water. It was comfortable, however, our flight was at 6 am, and we had to leave the hotel at 4 am. Its pretty difficult to take a bath at this hour without hot water. But the room is clean, the tv was tiny though. a bit far from the airport compared to those inns that are just in the vicinity, but its not that far of a tricycle ride. we were at the airport in less than 10 minutes. Was from Boracay and stayed for a night to catch an early morning flight from Kalibo to Manila. Overall the hotel is very basic, should bring your own dinner if you did not plan to go out to eat. No fridge, mini bar, hot water, hot shower or coffee/tea amenities. Room is big enough for two with 3 single beds. Hotel will give hot water in a flask if you need it. Tried to check-in on May 24 late in the evening but made to wait for a very long time. I presented the Agoda Hotel voucher for 3 pax but were given the run around. The front desk (literally just a desk in an open garage) kept on looking in their folders, their pc and other places to locate our booking. I suspected that they gave our room away and were looking for a reason to turn us away. When they finally spoke to me, they told me that Agoda never sent them a booking confirmation for us. He even faced his pc monitor to me to show that our booking was nowhere to justify his clam. At this point I was really annoyed for all 3 of us where tired from the land trip that took almost 3 hours and just wanted to shower and sleep for our early morning flight. So i angrily told the front desk clerk to type in our booking reference on the search box of their email box. Lo and behold, our booking confirmation showed up and it was marked read already. I told them that the booking is there so where is our room. After a long wait, they brought us to a room and it only had 2 beds but the booking is for 3 pax. They left us in the room to wait again. The 3rd person with us got frustrated and just decided to leave and book at another hotel. When the hotel staff came back they were saying that our 3rd companion can stay at the adjacent building with just a fan in the room and common shower and toilet. I told them that was not acceptable and our companion left already. They said they will refund us P300.00 for the inadequate room and just left. The room did not even have toilet paper. Anyway, we are never going back to that hotel ever. We have not received any refund yet either. I suggest that others stay away from this hotel. The budget rate is not even worth the aggravation and frustration that you'll get from it.